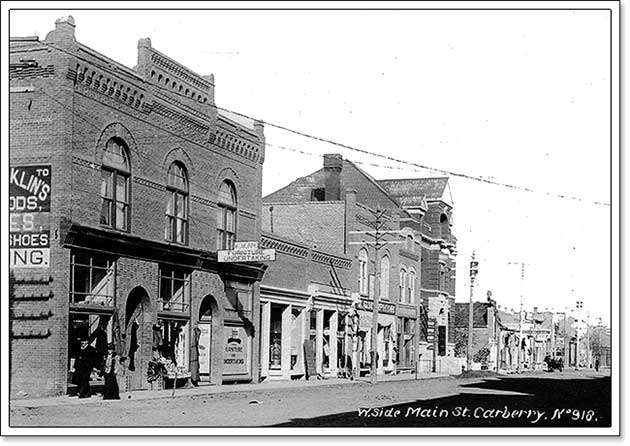 Here’s part three of our jaunt back in time on Carberry’s Main Street. 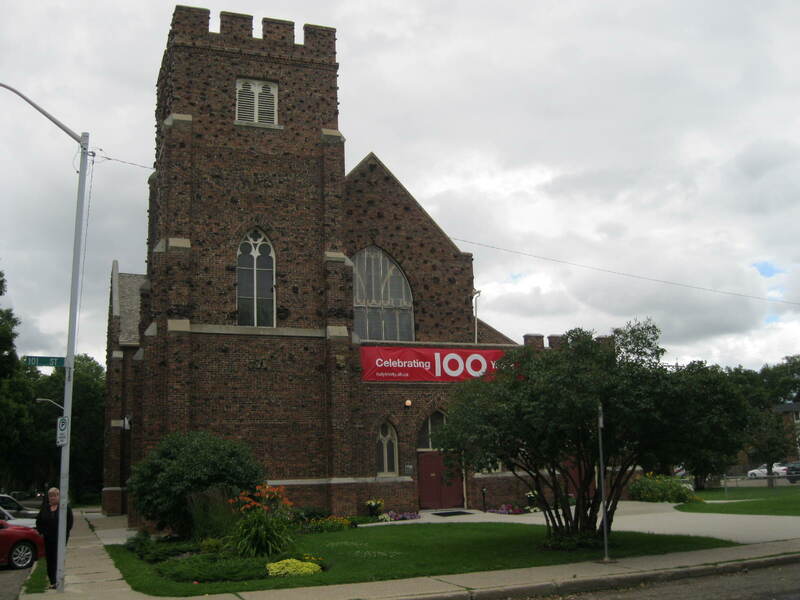 Modest, sturdy and practical, one-storey brick buildings sprang up in most growing Manitoba towns, supporting a variety of commercial and social uses. 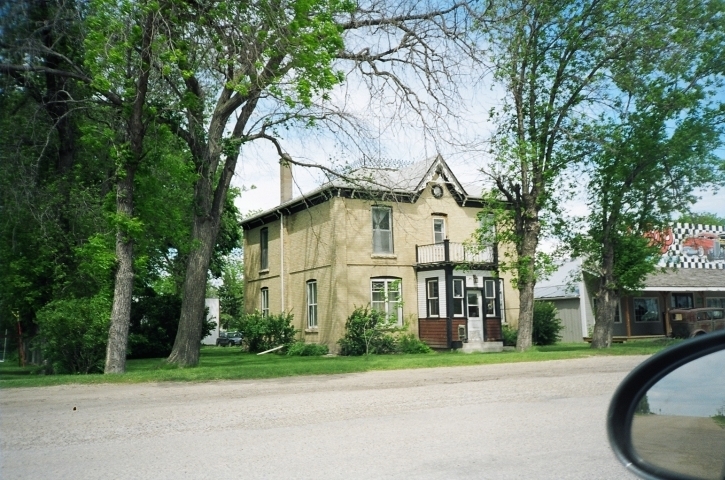 Built in the 1890s as two separate long narrow buildings, Carberry has an excellent example of utilitarian town building. 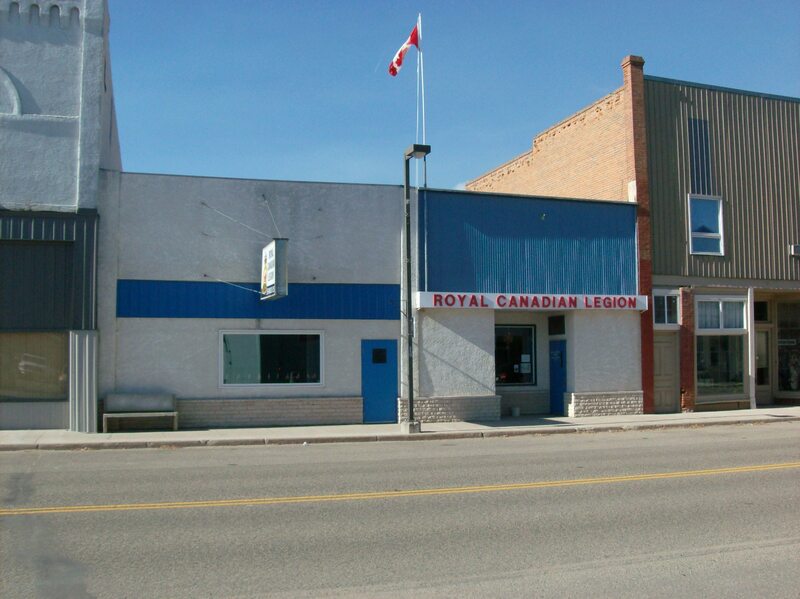 The business roles of the two buildings changed frequently until they were merged in the mid-1950s and became the Royal Canadian Legion, a hub of social interaction in the little town. Pa Tuckett has fond memories of “bending a few with the old boys” at the Legion. Though primarily functional, this little one-storey has a few elements of interest. The buildings are both wider than usual, have flat roofs, brick walls and stone and brick foundations. A shallow pilaster indicates the original border between the two spaces. Their interiors are deep and open and now connected with a partial opening in the separating wall. 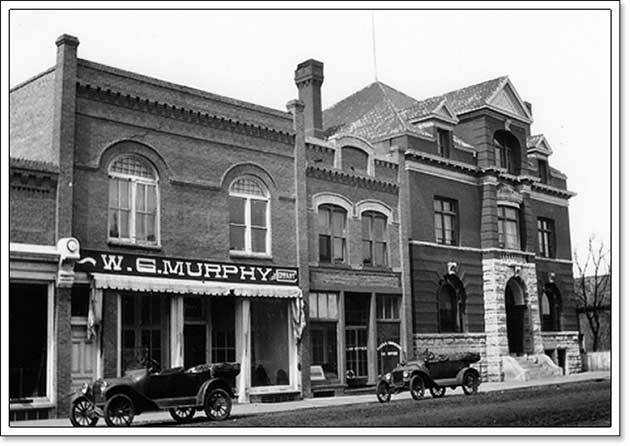 In this picture from Carberry’s early days, the Legion is the second building in. 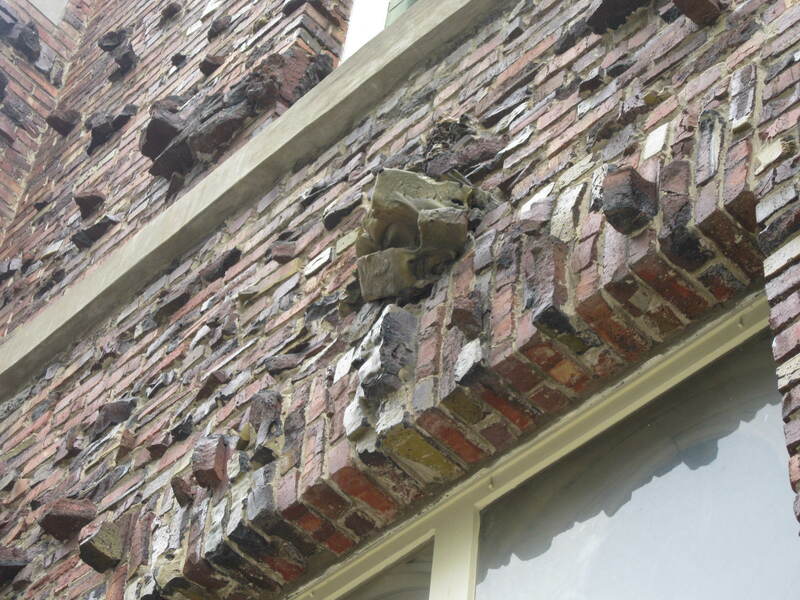 It had lovely brick corbelling along the cornice and well-defined indented entrances. It’s possible some of that brickwork still exists behind the blue cladding above the entrance. 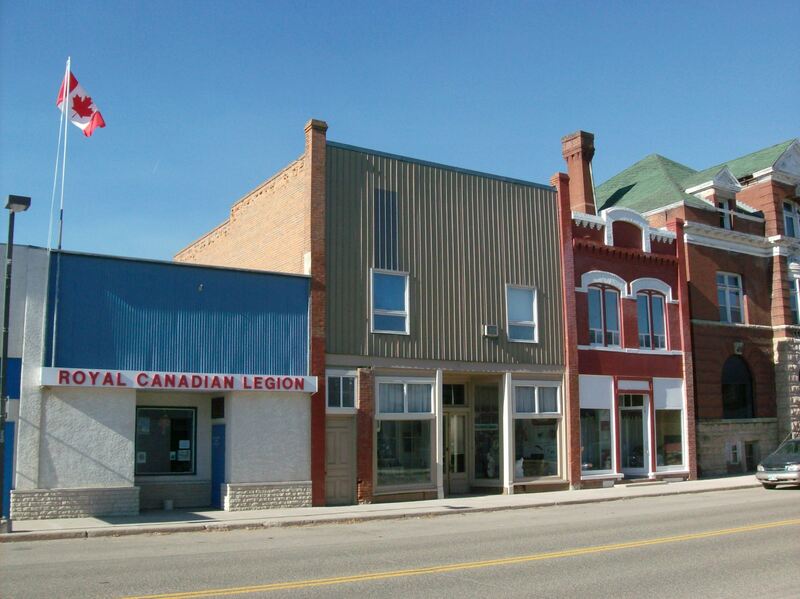 Today the little buildings, now united behind a single facade, sport the bright red Royal Canadian Legion signage and the Canadian flag flying above. My picture doesn’t do it justice. It inspires a disproportionate amount of awe for its size. Nestled between the Charlie Sear Building and the Murphy Block (the next post in this series), perhaps its role bringing continuity to the heritage ambience of the street accounts for some of that. 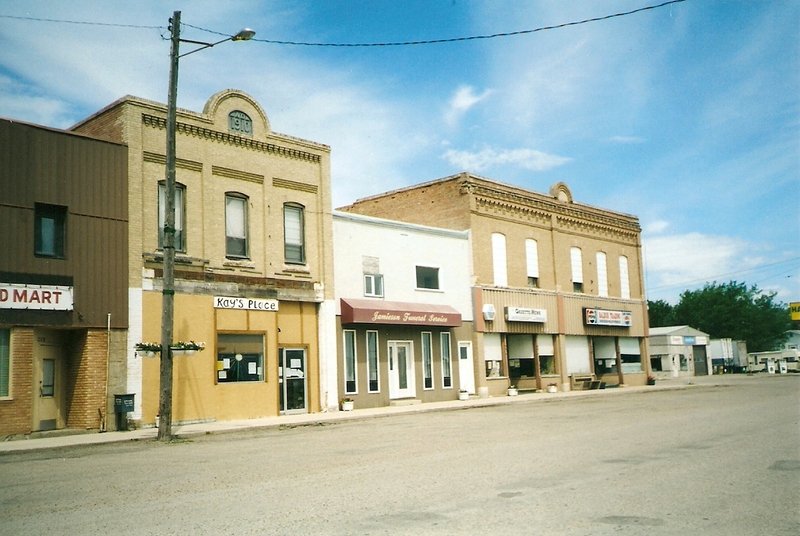 Baldur is a little community on Hwy #23 in southern Manitoba named after the son of Odin, a major deity in Scandinavian mythology. Baldur personified the nobler qualities of human nature. Known for his beauty, Baldur was also the god of innocence and the summer sun. 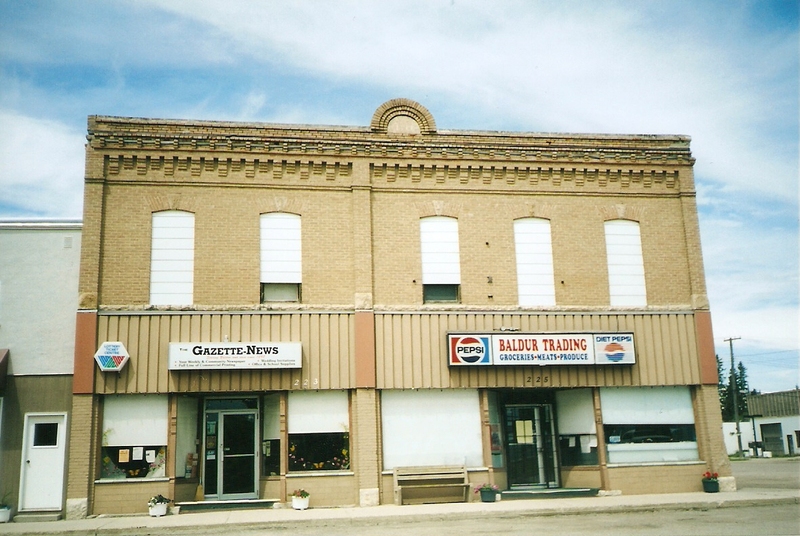 A few years ago I took some pictures of two fine examples of early prairie commercial buildings that still stand on Baldur’s main drag. 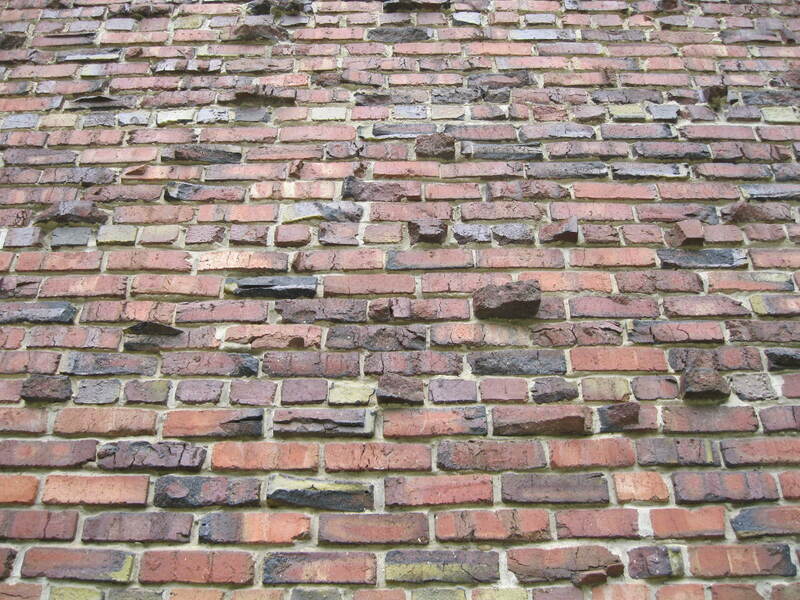 The above picture shows the contextual view of the two tan brick buildings. 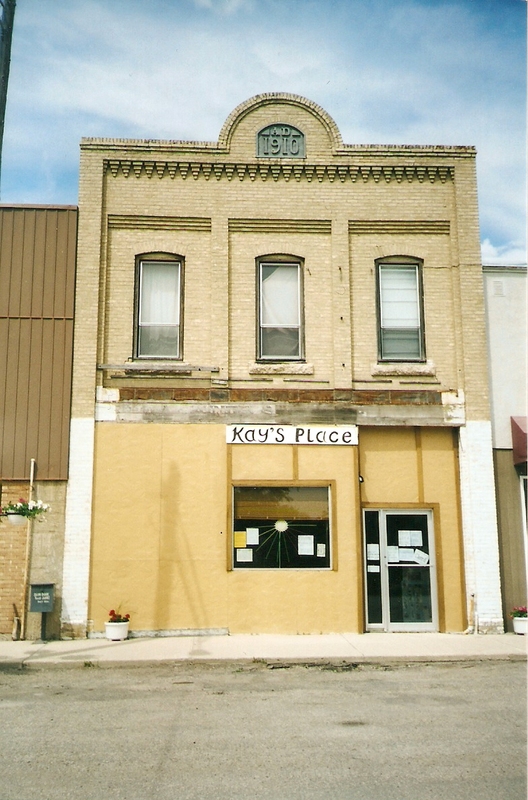 Now Kay’s Place, the smaller, more modest brick building was built in 1910 and sports fine brick detailing on the second floor. The corbelling under the cornice and the broad fanned arch with datestone highlight the roofline. The three bay façade has inset windows with rough limestone sills and regular pilasters to offer movement. 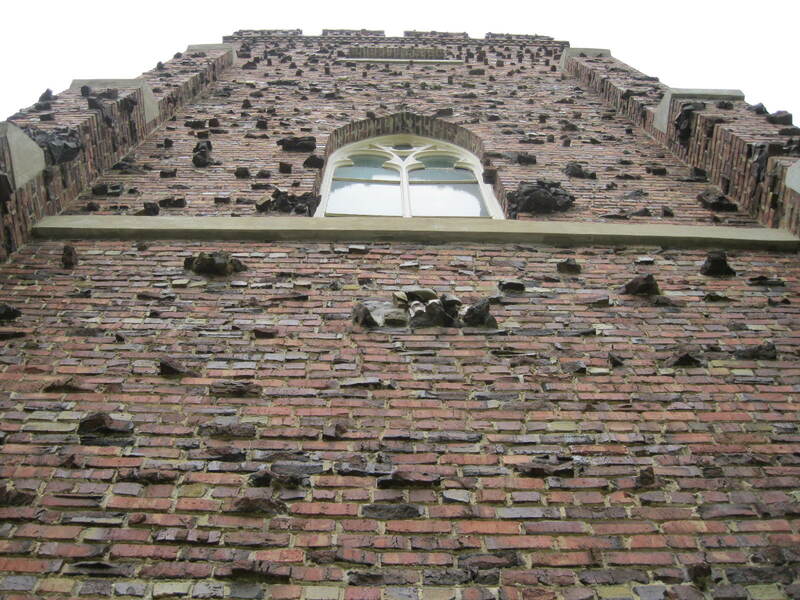 It is a shame the ground floor façade is such a mess. What wonders once lurked, perhaps still do, beneath the poor cladding? 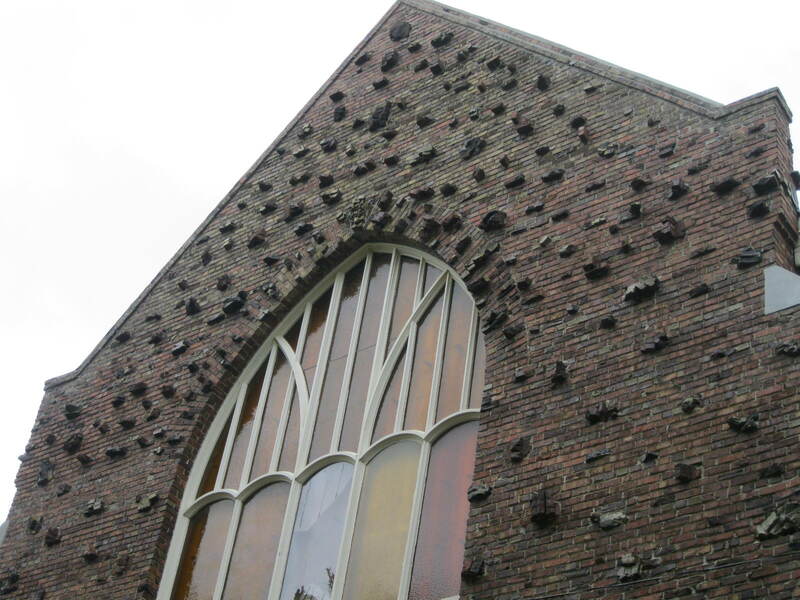 In this case, half a building is better than none. The Fowler Block, the larger commercial building, was built in 1899 by Alex Fowler from a design by Brandon architect W. H. Shillinglaw. 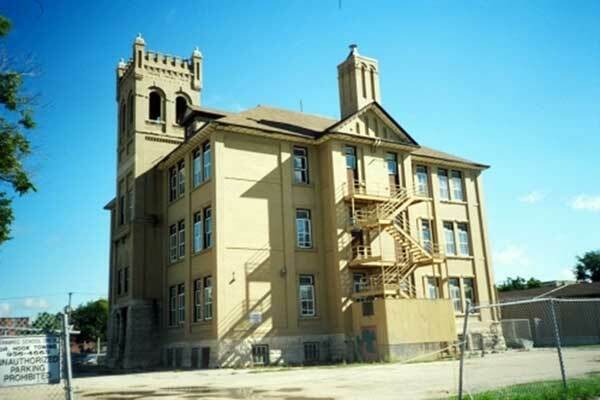 Fowler arrived in Baldur in 1891 to operate the new facility for the Manitoba Elevator Company of which his father was president. Fowler purchased the local saddlery business of C.W. Watson in 1895 and by 1899 had commenced construction of this building. The saddlery business occupied the smaller of the two retail spaces on the main floor with various merchants renting the other space. In 1904 Alex became Baldur’s postmaster and for the next 31 years the town post office was located in the Fowler Block. 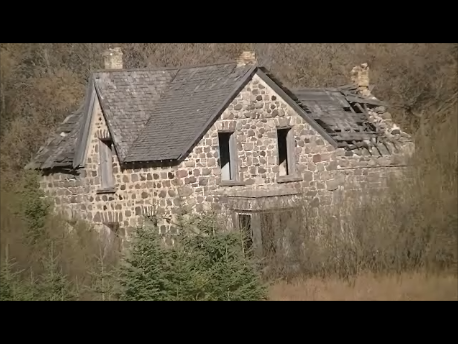 The structure remained in the Fowler family until 1978. 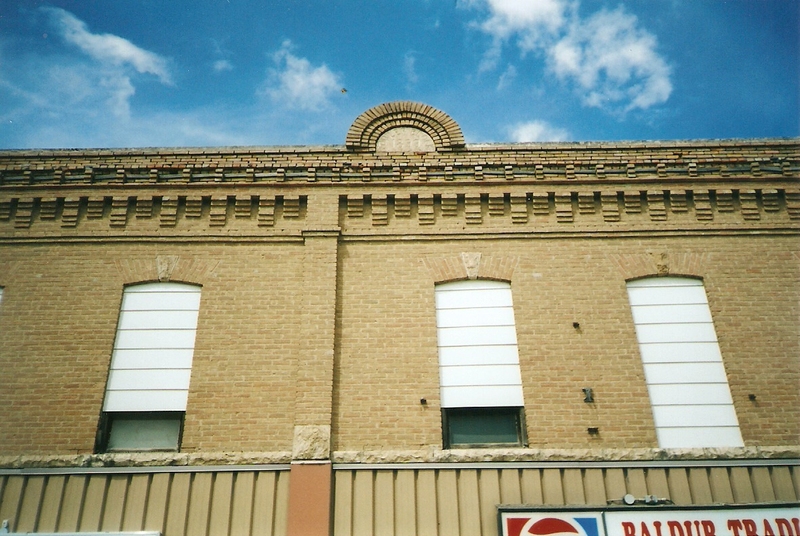 The Fowler Block is an excellent example of the type of commercial block commonly constructed in southern Manitoba between 1890 and 1920. The design is straightforward and attractive with vertical brick pilasters separating the stores. The second storey windows feature segmental arches with rough limestone keystones and a limestone belt course running below. The most eye-catching features are the rich double rows of corbelling along the cornice and the fanned brick arch with the datestone, similar to the other commercial building. A rather amazing feature of the Fowler Block is the integrity of the original façade, which hasn’t been trashed with inappropriate signage or colour, other than the vertical cladding above the windows. 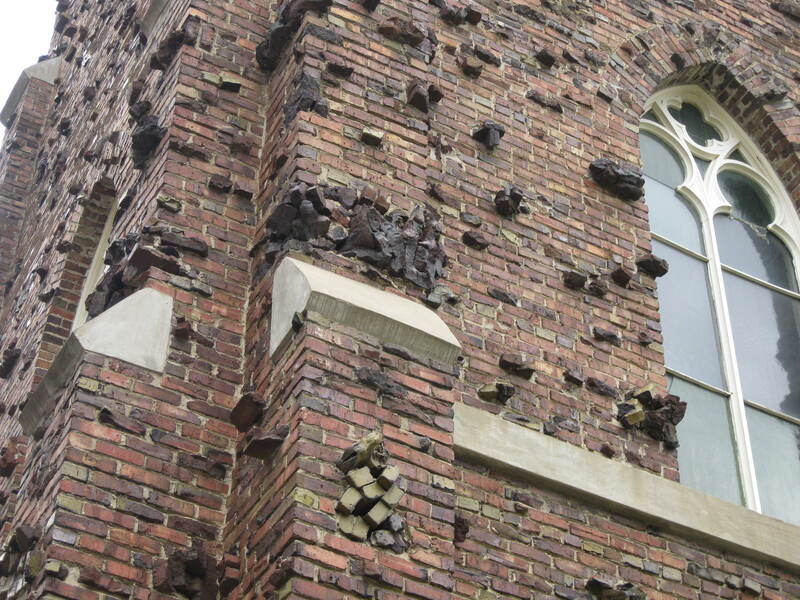 The brickwork on both buildings is standard running bond. The exterior ground floor is original, attractive and well maintained, featuring indented entrances with opposing sidelights and carved entry surrounds. Existing signage is appropriate in size and content and does not detract from the overall beauty of the building to any large degree. Fortunately, the interior retains many original features including decorative pressed-tin ceiling panels. The overall condition is excellent which bespeaks the fine originality of the design and the presence it has in this small town. American Foursquare was popular from the late 1800s until about 1930, combining elements from other architectural styles to dress up its simplicity. 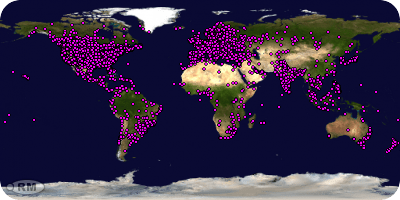 Many of the same elements Frank Lloyd Wright used can be found on American Foursquares. 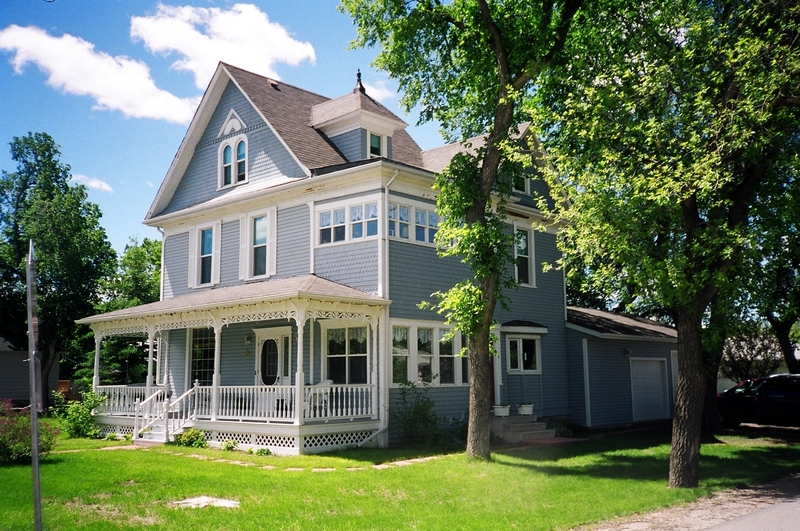 Sometimes called prairie box style, the houses were a simple box shape, two storeys with each floor having a four-room floor plan (thus the name), a low-pitched hipped roof with a large central dormer and deep overhang. 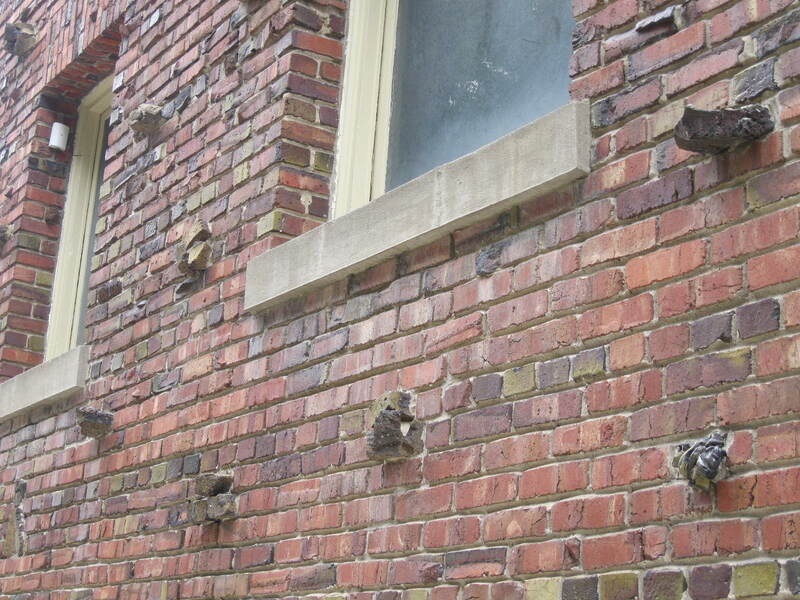 This buff brick example may once have had a wide porch. The dormer is visual feast, elaborately decorated with delicate bargeboard and the bull’s-eye window behind. Decorative features are the overbuilt corners, the small belt course of raised brick between the floors, the carved elegant brackets under the wide eaves. 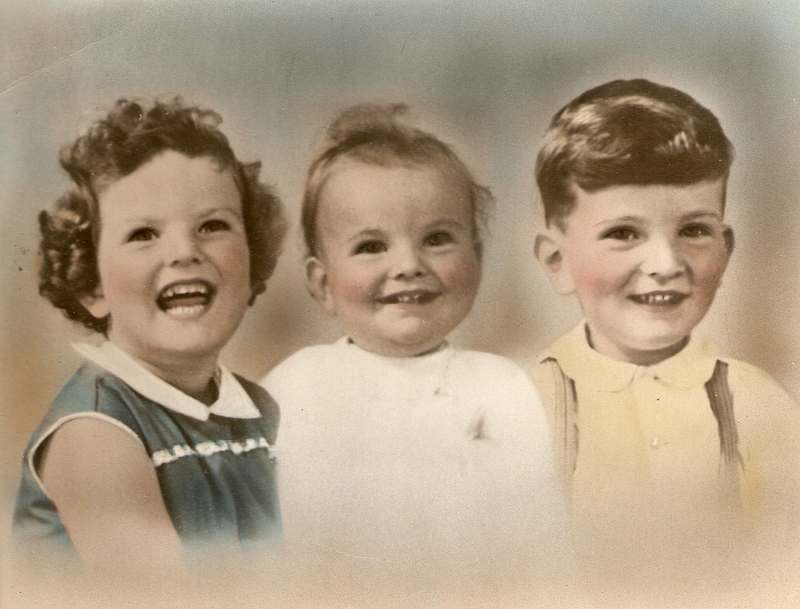 The style was practical in several ways: the houses fit nicely into small city lots and their simplicity meant they could be sold as mail order house kits by Sears and Eatons. 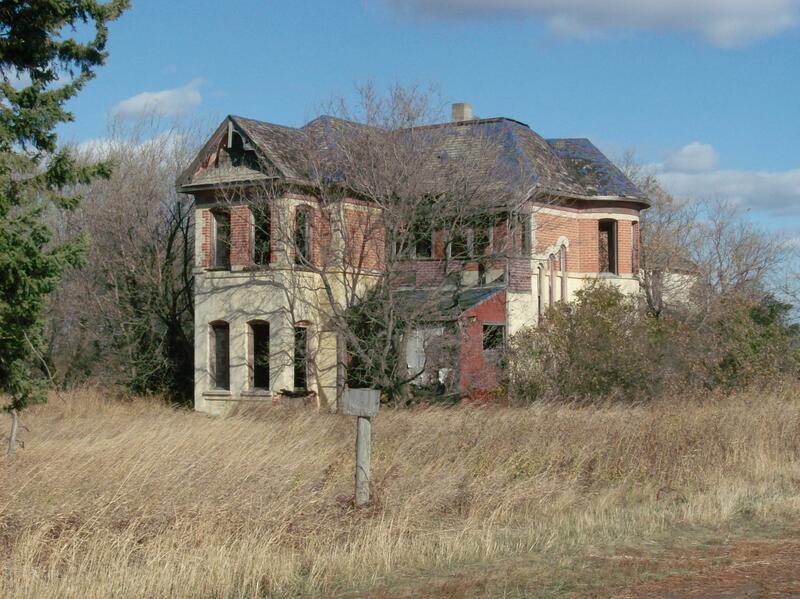 The metal roof cresting tops this lovely well-maintained house. Though the colour scheme and materials of the front porch do not complement the rest of the house, the place overcomes this minor glom and presents a solid and stately elegance, a quiet history of service to generations.